What you ought to know about PPC and SEO? We know that our first time visitors have many questions in their mind regarding PPC and SEO. We have their answers too. FAQ page answers the visitors’ queries by answering different questions like black hat and white SEO, information about Google Analytics and popular SEO tools. Though both are search engine marketing methods, they work differently. SEO gets you top search engine rankings in a natural way, whereas PPC places your ad in paid search listings. PPC campaigns are easier and quick to setup, whereas SEO campaigns take longer time to get started. 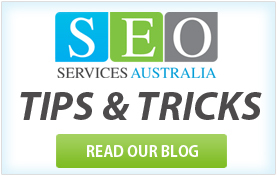 What are White Hat and Black Hat SEO? White Hat SEO techniques are fair, ethical and are in view of the guidelines setup by search engines. Black Hat SEO experts are often called lobbyists who use back door techniques such as spamming the web with dummy web pages; hence their website gets higher rankings. What is Google Analytics and how is it beneficial? Google Analytics is a tool that helps strengthen your PPC campaign. 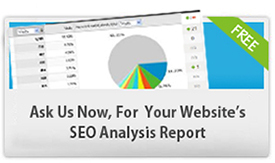 It gives you valuable insights into your marketing efficacy and power to draw web traffic. You can analyze your traffic data and get the right keywords, target the favorable markets and convert more customers. What is Local Area Search engine optimization? Local SEO is beneficial to the business offering products and services locally to a specified geographical area. Local SEO is an advanced form of your traditional yellow pages and help a business get quick conversion. What are Popular SEO Tools? There are various tools available in the market today. 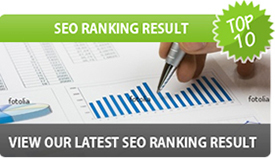 But there are few SEO tools that every business must know about. These are Keyword optimizer, indexed pages, Google vs. Yahoo, Future Page Rank, Link Popularity, Meta Tag Generators, ROI calculator, Site link Analyzer, Spider Simulator and Keyword Typo Generator.